Why Invest in ABSL Tax Relief 96 Fund? Better returns in the long term. One of the best ELSS funds. Additional facility of SIP with Insurance. Read this blog to find out why ABSL Tax Relief 96 Fund is an ideal choice for investors in this tax-saving season. Two things are inescapable if you’re born as a person on earth- Death and Taxes. The advantage that death offers over taxes is that it occurs just once in a lifetime, however, paying taxes is an ongoing process which arrives every year. Although one has no control over the former, the effect of the latter can be reduced significantly with sound planning and management. One can easily curb one’s tax liabilities by investing in a good tax saving instrument. People invest in several instruments which offer a tax deduction. 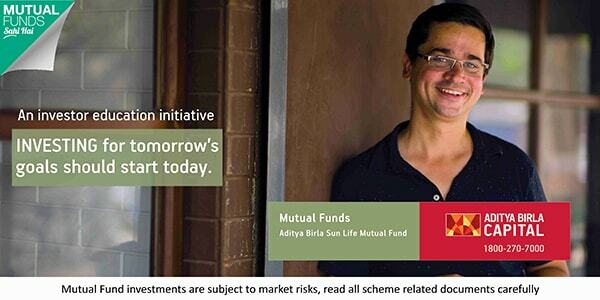 In the list of such investment options, ELSS mutual funds have made a special place. Talking of ELSS mutual funds, you too must be confused about picking a reliable scheme to reduce your tax liability for the financial year 2018-2019. Here, we, the experts at MySIPonline, suggest picking ABSL Tax Relief 96’ Fund which is an open-ended fund, and like all other ELSS funds, it comes with a lock-in period of 3 years. Let’s find out more about the scheme and know why it is referred to as the best choice for investors this year. This star-performer ELSS scheme was launched on Mar 29, 1996, with the objective to give investors high profits by investing majorly in equity and related instruments. As of now, it has 97.65% investment in equities and the remaining in debt and money market instruments. Talking about its portfolio aggregates, 40.4% investment is made in large-caps, 50.08% in mid-caps, and 9.52% in small-cap companies. This high distribution in mid-caps depicts the partially aggressive style of investment which the fund manager follows. The portfolio of Aditya Birla SL Tax Relief 96 Fund Growth basically contains equity instruments from large and mid-caps which majorly belong to healthcare, finance, automobile, services, and FMCG sector. This portfolio allocation is a perfect blend of growth and security and will help the investors in making good returns in the near future. What the Top Holdings of ABSL Tax Relief 96 Fund Convey? The top ten holdings of ABSL Tax Relief 96 Fund include Honeywell Automation, Reliance Industries, Gillette, Bayer CropScience, Pfizer, GlaxoSmithKline Pharma, Thomas Cook (India), HDFC, Sundaram- Clayton, and Shopper’s Stop where the asset allocation percentage is 7.55%, 7.22%, 6.78%, 5.97%, 5.41%, 5.16%, 4.85%, 4.57%, 4.42%, and 3.54%, resp. The fund manager has recently increased its allocation in all the holdings as mentioned above except for HDFC which remained consistent since the last portfolio. Concerning risk parameters, the scheme is excelling its benchmark and peers in different fields. It has kept its Sharpe higher than category but little less than the benchmark. The rewards that you can get for taking the per unit risk in the scheme are higher. The scheme suffered a lot to beat its benchmark and category in 2010 and 2011 but it pulled up its socks in 2012, and after that, there was no looking back. It fared really well in the first two years of the bull market which were in 2014 and 2015. The past five years return is now around five percentage points ahead of the benchmark returns and four percentage point more than the category returns. The return since inception record of 24.26% depicts an entirely different story of success altogether. ABSL Tax Relief 96’ is managed by Mr. Ajay Garg since October 2006. He is also the fund manager for quite a few other schemes of the fund house including ABSL Index Fund ( since Oct 2006) and Aditya Birla Sun Life MNC Fund (since June 2009). The scheme suffered a bit-shuffle in its initial years before it was handed over to Mr. Garg in 2006. The management has been quite stable under his leadership. He follows a multi-cap and bottom-up strategy for the scheme. The motive behind investment is to look for compelling businesses without being biased towards any market cap. Mr. Garg hunts for quality companies which are run by professional management and have the predictability of earnings and strong moats. In addition to the regular SIP facilities, Birla Sun Life Century SIP facilities are also made available for the investors investing in ABSL Tax Relief 96 Fund. With this add-on facility, eligible investors can avail the benefit of free life insurance along with tax saving and wealth creation. The minimum investment amount for this will be Rs 1000 per month via SIP and then there is no upper limit. Investors above the age of 18 years and above but less than 51 years (at the time of first investment) can avail this benefit of free life insurance cover with SIP Investment. If you are someone who has a moderate to high-risk appetite and can hold your sanity during the market fluctuations, then don’t delay to include this ELSS hero in your portfolio. One must remember that the scheme follows a bit diversified investment style and has a high allocation in mid-caps, so if this matches your investment objective, opt for this tax saver. This scheme has already helped thousands of investors in achieving their financial goals and holds the potential of showing even better performance in the future. So don’t wait for the next year and start your investments now to get the most out of it. Willing to ask a question concerning regular mutual funds? Well, just submit it in the form provided below and get your answer asap.